3'x5' polyester flag with a white header and two grommets. Most flags have four rows of stitches on the fly and two rows on the top, bottom, and header side. The image is screen printed and appears on both sides. This was the flag of the Republic of Georgia between 1918-1921 and 1990-2004. 3'x5' polyester flag with white header and two grommets. Flags have four rows of stitches on the fly and two rows on the top, bottom, and header side. Image is screen printed and appears on both sides. 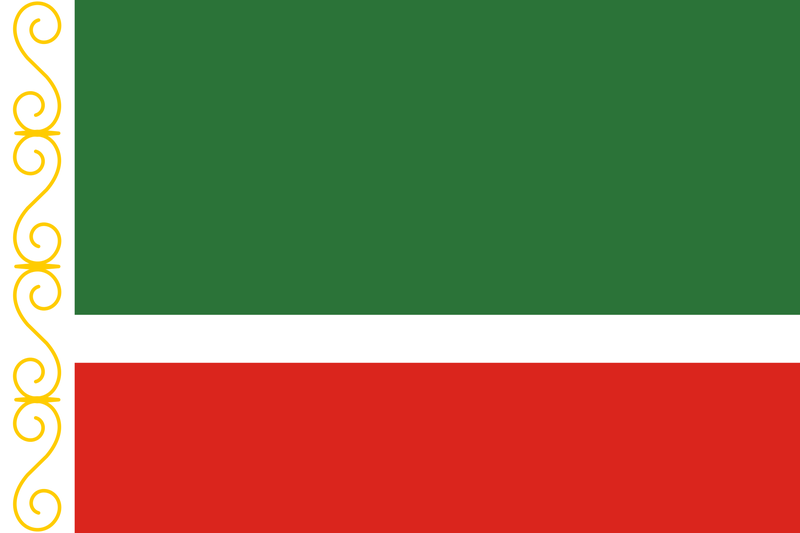 This is the new flag of Chechnya. Adopted in 2004.